Giuseppe Vasi published between 1747 and 1761 ten books of etchings on the monuments of Rome. The plates were grouped by subject: churches, gates, bridges, palaces, villas, etc.. 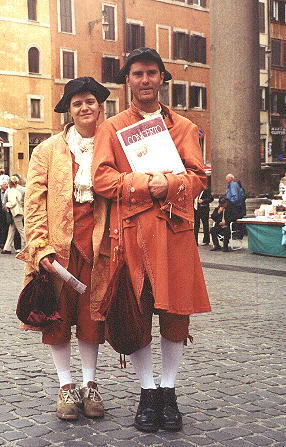 The books became a bestseller among the foreigners visiting Rome. Vasi then wrote a guide for visiting Rome in eight days and driven by the success of this guide he published in 1765 the grand View of Rome. 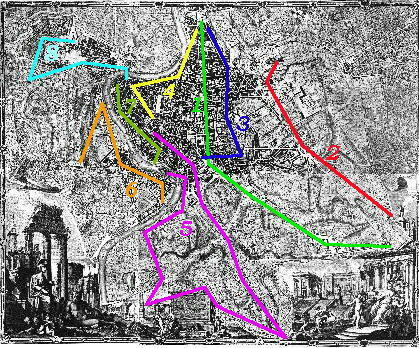 In 1781 he completed his work with a Map of Rome. This site complements my site on Baroque Rome in the etchings of Giuseppe Vasi, which contains a section on the coats of arms of the popes (*), with the drawings of Filippo Juvarra. Note: the itineraries do not cover all the monuments of Rome shown in the 10 books of etchings. See the list of links to pages showing monuments not mentioned in the itineraries. 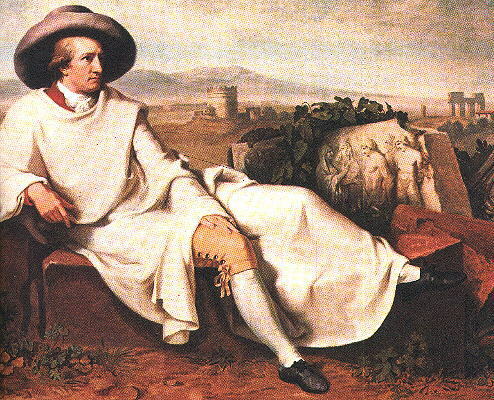 The View is dedicated to King Charles of Spain, who had previously been King of Naples (or of the Two Sicilies as this kingdom was also called), thus the king of Vasi himself, who was born in Sicily. The view is taken from the Janiculum where King Charles had many possessions. You may wish to start by having a look at a simple Map of the Walls of Rome. Vasi provides not only a detailed view of Baroque Rome, but also of Ancient Rome, Medieval Rome, Renaissance Rome and Mannerist Rome. 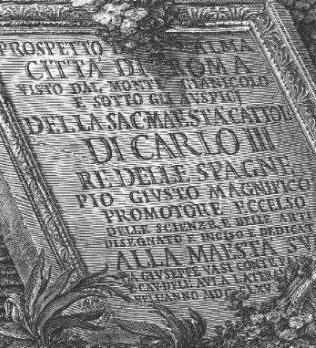 This site contains also some pages on the Walks in the Roman Campagna written by Ferdinand Gregorovius in the XIXth century, a section on Baroque Sculptures, Rioni di Roma (the historical quarters of Rome) and several directories and a detailed index to help your navigation. to find a specific topic. This site is maintained by Roberto Piperno.